Help fund Vas's electrician training on Beam. Vas's campaign has fully funded! 🎉 A Beam employee is now supporting him on his journey through training and into work as an electrician. As I lay down to sleep under the flyover, I knew something had to change. It was my first night there. I’d lost my job, my home and reached my lowest point. But this low was also my chance - to leave bad decisions and destructive habits in the past and start again. I’d worked in hospitality for many years before my first night on the streets but the job didn’t make me happy. I started experimenting with drugs and slowly but surely went from being an occasional user to a full-on addict. Things came to a head in quick succession; my drug use became unmanageable, my flat caught fire, and I was made redundant. I was on the streets for around 3 weeks when a homeless outreach team found and supported me into a hostel. One year on and I’m addiction free, learning new skills, and exploring opportunities I wouldn’t have believed were possible! With the support of the wonderful staff at Turning Point, I’m focused on a completely new career and loving every step. 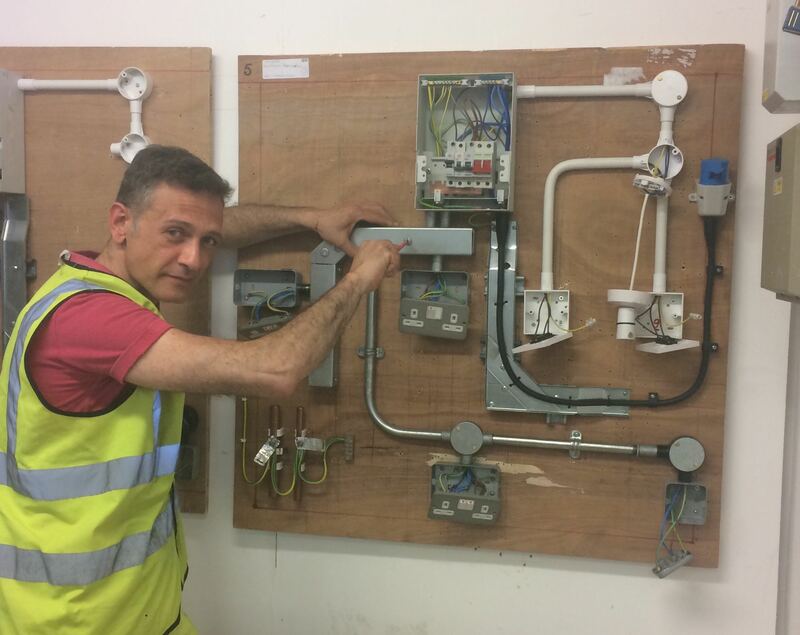 Right now, I’m doing my level 2 in ‘electrical installation’ and getting to grips with different wiring systems. As you can see, I’m really starting to look the part! Getting my level 3 diploma will be the all-important next step in becoming a full-time electrician. I’ve had to rebuild my life from scratch and now - with your help - I'm lighting the way to a brighter future. Founded 50 years ago, Turning Point are a social enterprise, providing specialist and integrated services which focus on improving lives and communities across mental health, learning disability, substance misuse, primary care, the criminal justice system and employment.